Sham Shui Po is not just a great place for foodies or for people looking for cheap electronics… but actually for DIYs of all kind. 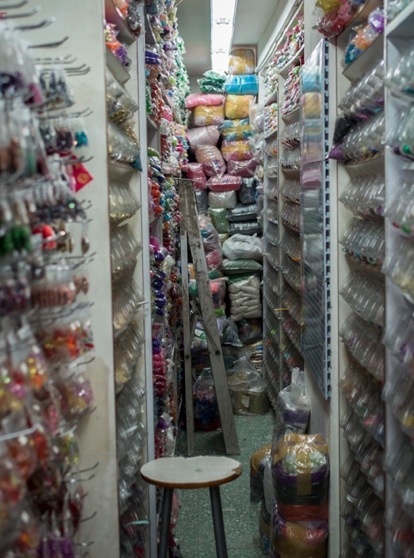 It has tons of shops selling fabrics (here’s another interesting posts about crafty little shops in Sham Shui Po at Ira’s blog) buttons and also beads. 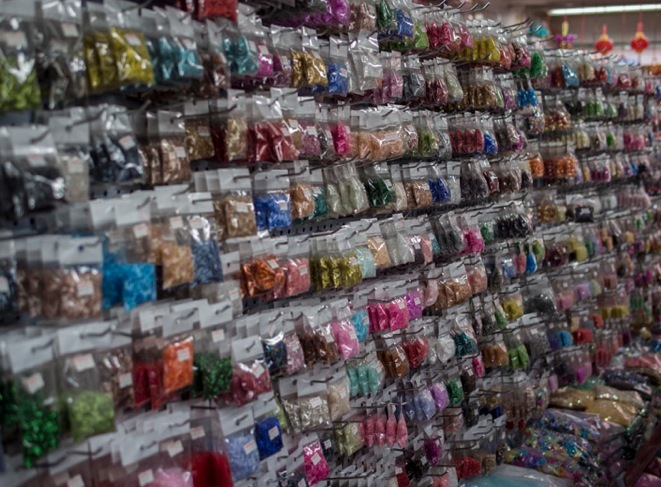 I wish I had more time to explore those shops, but unfortunately I was running out of time and hence only quickly jumped into one beads store to show you the sheer endlessness of beads. They come in all colours of the rainbow, in various different sizes and materials – it seems like nothing is impossible! It’s crazy, insane but also fun. 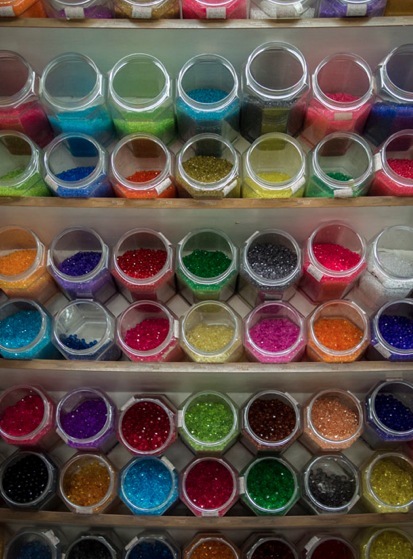 I wish I would have more time in my day to get back to some DIY with beads. I used to make bracelets, hair clips and even small crocodile key chains. Those where the days… Anyway, the shops I took those pictures in is: Tao Yuan Fashion Beads on 261-263 Yu Chau Street. Getting there is easy. Take exit C2 of the Sham Shui Po MTR station and walk along Kweilin Street until it intersects with Yu Chau Street. Next, turn down Yu Chau Street, and look for number 261 – it’s nearly on the corner. That’s my kind of shop!